Python - Start your engine with the push of a button from up to 2,000 feet away with these slender, elegant 5 button remote controls. Based on the best-selling 2-Way Responder LE Remote Start System, this is the value-priced 1-Way version. 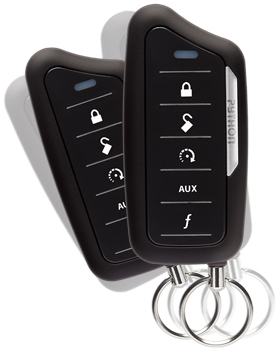 Includes the very latest in Remote Start technology, including Virtual Tach, D2D and XPRESSPORT™.